About 59 percent of all car buyers spend some time researching online before buying a car. Dealerships need to consider what buyers are learning about their business and the cars available there. Here are some tips on things that dealerships should realize about their online shoppers. About 60 percent of buyers are considering multiple vehicles that might fit their lifestyle when they first start car shopping. They are also using multiple channels to find out about what options might be available. About 22 percent use social media to find out about options with Facebook and Instagram being favorite choices. About 18 percent turn to YouTube. Regardless of where they are looking, they need to find your information. About 53 percent of all research for a new car is done on a mobile device. Car dealers need to make sure that their sites are mobile friendly. Make sure that websites are responsive to different devices. You have simple navigation. Finally, make sure that images display properly. The average person looking for a new car spends about three hours at a dealership. The majority of that time is spent trying to get the financing in order. For many, that process starts online. 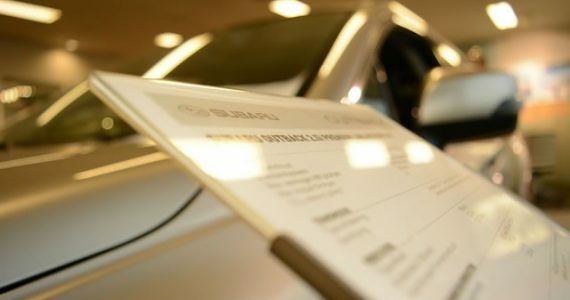 If you own a car dealership, consider what you can do to streamline that process. Over 87 percent of buyers say there is something that they do not like about visiting a dealership. In fact, over 24 percent of buyers hate it so much that they say they would rather have a root canal. If someone is looking into a new car, about 59 percent say that they would forgo the test drive if they could buy the car from home without visiting the dealership. While this is not always practical, there are things that dealerships can do to minimize the time spent there. They can offer pre-approved financing on their websites. For those looking into new Ford cars for sale, for example, a dealership can provide a significant amount of details about that brand’s cars on their website. They can also encourage buyers to make appointments to visit the dealership so that someone will be there to greet them immediately. Dealerships need to consider the buyer’s experience when thinking about their internet presence. Making a visit to the car dealership quick and easy can help increase sales. Since most buyers start out on the internet, make sure it is easy for buyers to find the information that they want there.